Professor Seema Jayachandran's research in Uganda shows promising results. 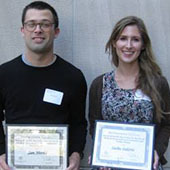 Professor James Hornsten and graduate student Loren Fryxell win Weinberg teaching awards. Read more about the awards here. Formers students and colleagues from all over the world gathered on April 28 & 29 in the Kellogg Global Hub to honor the major contributions that Robert Porter, Northwestern’s William R. Kenan, Jr. Professor of Economics, has made to economics. Professor Porter's pioneering work on auctions and on collusion revolutionized the field of industrial organization, and has changed the way empirical work is done. Read more about his work and research here. 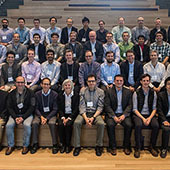 The conference was sponsored by the Center for the Study of Industrial Organization which supports the research activities and enhances the intellectual life of the large community of scholars at Northwestern whose research is related to industrial organization. Professor Claudia Goldin of Harvard University presented the Susan Bies Lecture on Economics and Public Policy at Northwestern on May 2. Full video available. Charles Manski, Board of Trustees Professor of Economics, has been named a Distinguished Fellow of the American Economic Association. The Distinguished Fellow awards annually recognize the lifetime research contributions of four distinguished economists. Manski was recognized for the far-reaching impact of his research, his exceptional service to the economics and statistics professions and the exemplary role he has played in advising the nation on research and public policy. Read more. 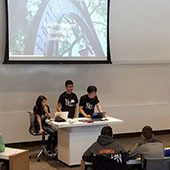 On April 1st, five undergrad economics students launched the inaugural Northwestern Economics Tournament, welcoming Chicagoland high school students to campus to compete and learn more about college-level economics. Students were challenged on various economics principles as well as on economic history, current events, and modern economic research through an individual test and a team-based quiz bowl. Students also got the chance to hear lectures from and interact with Northwestern professors Larry Christiano, Scott Ogawa and David Berger and graduate students Loren Fryxell and Jamie Daubenspeck, gaining a broader sense of current economics research topics and what role economics plays in the world beyond the classroom. Congratulations to Adlai Stevenson High School, whose students won both the high score on the test and the quiz bowl. The organizers of the tournament, sophomores William Ho, Jacqueline Wu, Peter Nam, Katherine Liu and Josh Avery are already looking forward to getting to work on next year’s event. For more information, please contact them at nuecontournament@gmail.com. Professor Eddie Dekel gave his Presidential Address to the Econometric Society in Chicago on January 5, 2017. The title of his talk was "Hard Evidence in Mechanism Design and in Games." He is succeeded by Drew Fudenberg of the Massachusetts Institute of Technology, who introduced him. 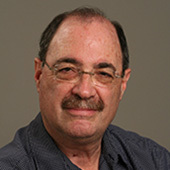 Notably, Dekel’s predecessor as President was another member of the Economics Faculty, Robert Porter. Professor Joel Mokyr served as the 2015-16 President of the International Atlantic Economic Society. How do you introduce someone who has been a friend and colleague for more than three decades? In this case, by being brief, knowing that he cares less for encomium than for being given more time to illuminate. 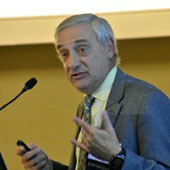 Joel Mokyr is the Robert H. Strotz Professor of Arts and Sciences and Professor of Economics and History at Northwestern University. Not content to occupy positions in two departments there, he also holds a Raymond and Beverly Sackler Senior Professor appointment at the University of Tel Aviv. 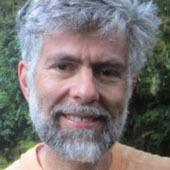 Joel has published a large number of books and articles, but even more impressive has been the influence of those works, as shown by the number of awards he has received for his work, and by the depth and breadth of his influence, as illustrated by the fact that he is an American Academy of Arts and Sciences Fellow, a foreign Fellow of the Royal Dutch Academy of Sciences, of the Accademia Nazionale dei Lincei, and a corresponding member of the British Academy. Joel's work addresses big questions, such as "Why did a whole country starve?" (with reference to mid-19th century Ireland), "Why did the Industrial Revolution begin where and when it did? ", "What are the processes that govern technological change? ", "How does culture shape economic progress?" It is for all these reasons that Joel Mokyr should be regarded not only as one of the great intellectual economists of his generation, but as one of the great intellectuals of his generation. His topic today is another big question: "Is Technological Change a Matter of the Past?" 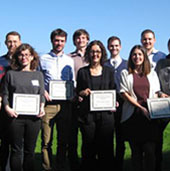 The annual Susan Schmidt Bies Prizes for Doctoral Student Research on Economics and Public Policy were awarded in October 2016. The awards are given to the best public policy papers presented as part of the Economics 501 Graduate Student seminar. The winners for 2015-16 were Sam Norris (left) for a paper on “Rise and Shine: The Effect of School Start Times on Academic Performance from Childhood through Puberty” and Sasha Indarte (right) for “Contagion via Financial Intermediaries in Pre-1914 Sovereign Debt Markets.” The prizes were generously donated by alumna Susan Schmidt Bies (PhD, 1972). Her professional career included serving on the Board of Governors of the Federal Reserve System. In October 2016, fellowships in honor of our late colleague Robert Eisner were presented. 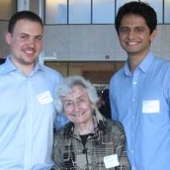 For 2016-17 the Fellowships were awarded to Gideon Bornstein (left) and Vishal Kamat (right). The winners are pictured with Mrs. Edith Eisner. The fellowships are awarded annually to graduate students who have distinguished themselves in both teaching and research. The Department's Distinguished Teaching Assistant Awards for 2015-16 were presented in October 2016. The winners are: Arjada Bardhi, Gideon Bornstein, Sena Ekin Coskun, Gabriela Cugat, Matias Escudero, Loren Fryxell, Sergey Gitlin, Joseph Hardwick, Sebastian Kohls, Matthew Leisten, Chiara Maggi, Giacomo Magistretti, Jordan Norris and Alex Theisen. These awards are given to the top third of our Teaching Assistants, based on student and faculty evaluations. 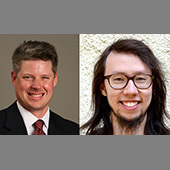 In September 2016 the Department welcomed two new faculty members. Gaston Illanes joins us as an Assistant Professor after completing his PhD at MIT. His research interests are in industrial organization and econometrics. His dissertation dealt with strategic behavior in pension markets. Daley Kutzman, who has interests in development and agriculture, joins the department as an Assistant Professor of Instruction. She completed her PhD at the University of California at Berkeley. We also hired Matthew Rognlie, a macroeconomist, also completed his PhD at MIT. He is taking a post-doc year at Princeton University and will join the Department in the summer of 2017. Congratulations to Scott Ogawa, William Rogerson and Eric Schulz on their election to the Associated Student Government Honor Roll for teaching excellence for 2015-16. Students nominated professors that go above and beyond expectations, and the winners were selected from the list of nominations as faculty members who are truly exceptional.